Let's admit it guys, the traffic situation in the city has ballooned into a nightmarish proportion! I myself experienced being stranded because no one wanted to be stuck around EDSA. There are moments when I wished I had my own ride to avoid the stress of waiting at long lines, hailing a cab or endure a walkathon fest. Most of the time, I wish I had my own scooter that can make my travel time so much shorter and my travel experience endurable. Honda Philippines has all the right reasons to call their new offering NEW GENERATION BEAT- FI ESP SERIES as the Scooter for All. Especially developed in the Philippines and Indonesian markets in 2015 and serves as the latest addition to the BeAT Series, the New Generation BeAT-FI eSP Series is taking Honda motorcycles/scooters to a whole new level. The "scooter for all" is a small version yet compact and sporty version of the hit and the class-leading Click 125 which Honda Philippines launched in February 2015 and tagged as the "Premium Scooter". The NEW GENERATION BeAT-FI eSP SERIES is equipped with the exclusive and industry-revolutionizing feature called The Honda Smart Technology. 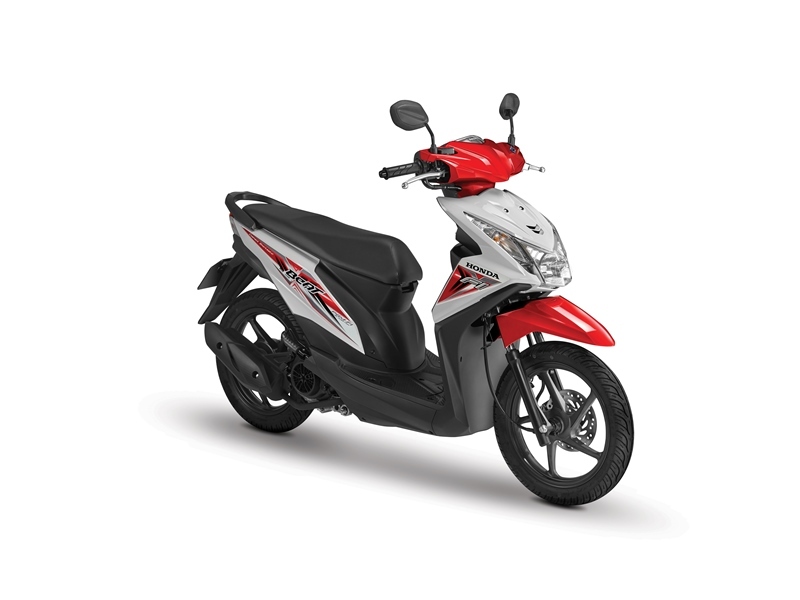 The New Generation Beat-FI eSP Series boasts of excellent engine performance, stylish and sporty design, groundbreaking features plus affordability that enables it to cater to a wider market base among Filipino scooter fans. The standard model is priced at Php 66,900 while the variant that highlights the Idling Stop System (ISS) and the Combi Brake System (CBS), the New Generation Beat -FI eSP Series is priced at Php 69,900. A real bang for your buck! In terms of design, it is just the right size for the young generation of Filipinos today. It's compact built makes its' rider agile and flashy. It exudes a sporty exterior appeal, accentuated by its' trendy color and speedy stripe. The perfect scooter designed for the young! The New Generation BeAT-FI eSP Series also comes with other new design elements including an aero-dynamic steering cover, an aggressive headlight form, a very informative meter panel, a sporty tail light, a sporty muffler protector, a stylish fan cover, a new design crankcase cover, sporty rear suspension with plastic cover and a stylish side mirrors. As for convenience and utility - the new generation beat FI esp series has a larger utility box, bigger tire size, comfortable triangle riding position, unique battery position and cover and very accessible position of the air cleaner. The utility box can accommodate 11.2 liters worth of personal items or safety equipments. The HONDA SMART TECHNOLOGY powers the NEW GENERATION BEAT-FI ESP SERIES to it's very remarkable performance punctuated no less than by it's class-leading fuel efficiency which is 63km per liter for it's CBS/ISS variant and 58.5km per liter for the standard model based on the ECER 40 test method. Honda is known for their trend-setting safety and security feature which the NEW GENERATION BEAT-FI ESP SERIES including a secure key shutter, a side stand switch, park brake lock, automatic headlight on (AHO) and the combi-brake system. It comes with a magnetic locking system that can be closed manually which reduces the risk of theft apart from being practical and comfortable. Do you want more safety features? Yes! The NEW GENERATION BEAT-FI ESP SERIES comes with a sidestand switch equipped with an electric circuit breaker. To prevent motorcycle accidents due to forgotten lifting side stands, the scooter engine will not start if the side stand is in the side down position thereby eliminating the risk of possible accident and ensuring safety for the rider. The park brake lock is meant to prevent the motor current to jump start the engine and jerk the scooter, and also avoid the risk of unwanted accident for the rider. All the driver has to do is to pull back the left brake level and the park brake lock is released. That simple! Another safety feature of the NEW GENERATION BEAT-FI ESP SERIES is the Automatic Headlight On which makes the rider more visible to other motorists. And finally, the combi-brake system is the safety feature that delivers controllability, convenience and the sense of confidence for the rider because the technology in the scooter gives it the optimum braking power while reducing nosedive. Because the technology enables the application of the right amount of brake power on both wheels of the scooter. The shortest stopping distance can be achieved! So? Let your beat our with the newest NEW GENERATION BEAT-FI ESP SERIES by HONDA. Get your own now! For more information on the scooter for all - visit and like HONDA PHILIPPINES on Facebook.